The disruptive nature of cryptocurrency is self-evident, offering the world an alternative to the existing financial paradigm that has governed the transfer and storage of value for centuries. While libertarian ideologues may focus on cryptocurrencies as an engine of creative destruction that directly challenges incumbent financial infrastructure, it’s possible that distributed ledger technology does not necessarily need to eschew the system it will eventually replace entirely. Stellar Lumens is a free, open-source network that lets anyone build low-cost financial products for their community. The Stellar network is a pragmatic blockchain project that aims to function as a bridge between the opposing worlds of cryptocurrency and traditional centralized financial institutions. Rather than create an entirely new financial model, Stellar is focused integrating within the current financial ecosystem — delivering the benefits offered by blockchain technology while working in coordination with existing banks and payment gateways. Stellar is notable for its unique consensus method — the Stellar Consensus Protocol, which uses a federated byzantine agreement model that is wholly unique in the blockchain ecosystem and defies definition as a “blockchain” in a traditional sense. The Stellar project is a divisive subject within the blockchain community — opponents of the platform argue that the architecture of Stellar is not truly decentralized, and thus the project is antithetical to the core axioms of distributed ledger technology. Proponents, however, highlight the impressive transaction capacity of the network, its strong partnerships, and the potential Stellar shows for furthering cryptocurrency adoption. The Stellar network is an extensive, complicated system, however. To develop a nuanced perspective on Stellar, it’s necessary to cut through the technical complexity of the project and understand how Stellar does what it does, and why. Stellar is a blockchain platform that is primarily focused on integrating distributed ledger technology into existing financial infrastructure. Stellar presents itself as the “future of banking,” and intends to address the gaps that currently exist between the disparate closed system that compose current international financial markets. Stellar’s approach to creating a common international financial platform is decidedly egalitarian — instead of focusing on either side of the finance centralization/decentralization debate, Stellar adopts a bipartisan stance that simultaneously provides solutions to the centralized banking system and expands access to low-cost financial services to the unbanked and underbanked. The core function of Stellar for everyday uses is streamlined low-cost international remittance. Rather than use a standalone cryptocurrency to transfer value over international borders, Stellar would have users transmit fiat-equivalent credit over the stellar blockchain. This credit is issued by “anchors,” or financial institutions that function as “bridges” between fiat currencies and the stellar network. In this regard, Stellar is deeply embedded with centralized financial institutions, as it relies upon them to hold user capital and honor withdrawals. As such, Stellar isn’t a truly decentralized platform, as centralized organizations are critical to its core function, but it does hold the potential to improve the current international inter-bank payment system significantly. While Stellar offers advantages to everyday users, enterprise organizations, banks, and financial institutions are positioned to gain the most from the system it proposes. Stellar allows these organizations to leverage its network to reduce transaction and remittance costs, manage micropayments, and increase reach through mobile branches. To appeal to centralized financial platforms and enterprise organizations, Stellar is highly regulatory compliant and boasts a real-time settlement of 2-5 seconds. To achieve this Stellar uses a unique consensus protocol that, according to a recent presentation given by Stellar Lightyear Program manager Lindsay Lin, can support up to 1,000 transactions per second with 1 billion accounts. One of the most interesting applications of the Stellar network, however, is not the most widely promoted features of the platform. Stellar boasts built-in token capabilities that make it possible for organizations that don’t require complex smart contracts to create their own tokens on the Stellar blockchain and launch initial coin offerings. Stellar boasts a built-in decentralized exchange (DEX) that allows ICOs to circumvent the lengthy and frustrating exchange listing process. Startups are also able to establish custom ICOs on the Stellar network, allowing users to combine abstractions into bespoke structures that facilitate dividend issuance, bonds, collateralized debt, and escrow. While Stellar may not offer the same smart contract functionality as the Ethereum network, some projects have already chosen Stellar as the platform for their ICO launch, such as the highly successful $39 million Mobius ICO. Stellar Lumens are the native asset of the Stellar network. The network launched in 2014 as a fork of the Ripple project backed by a $3,000,000 loan from Stripe, which was subsequently repaid with 2% of the initial 100 billion Stellar Lumen release. Lumens are used to pay for transactions on the Stellar network, and function as a bridge between currency pairs for which a sizeable direct market is not available. Fully half of these Lumens were distributed via a direct signup program that distributed free Lumens to millions of individuals, while a further 50% directed toward a partnership program that promotes contribution to the Stellar ecosystem. A further 20% was airdropped to BTC and XRP holders, with 5% remaining in reserve for the Stellar Development Foundation. Stellar works in a relatively straightforward manner for everyday users. 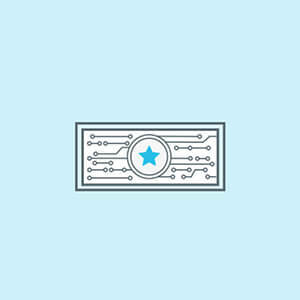 Network users are able to send international transactions across disparate fiat currencies using Stellar— individual users submit transactions to “anchors” that work with the Stellar network to record fiat currency as credit. These anchors can be payment processors or centralized banks, and function as bridges between fiat currency and cryptocurrency. Credits are then issued to users that have submitted fiat currency to anchors, which are then held in an online account. Credit can then be sent between network users and is automatically converted into other currencies at the best rate possible. 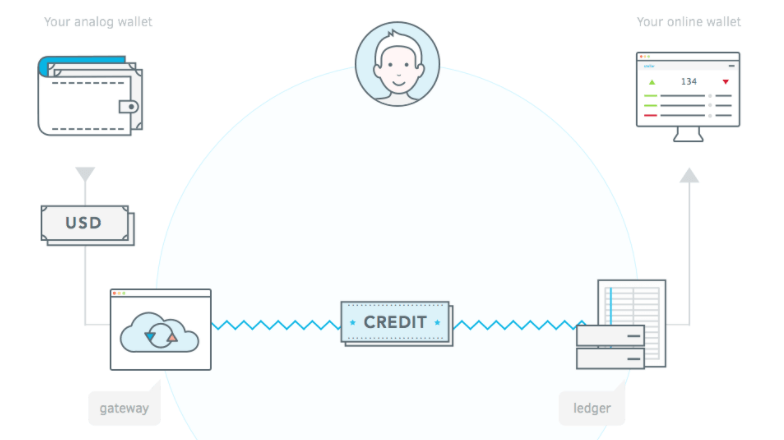 Transaction recipients are able to withdraw credit via an anchor service. Stellar doesn’t completely replace current financial infrastructure — rather, it replaces the manner in which financial institutions transmit currency to one another. The Stellar network is free to use, allowing virtually any payment processor or bank to integrate the Stellar network into their existing architecture. Stellar may have started out as a fork of the Ripple project, but the two platforms are fundamentally different. Ripple is a for-profit entity that is solely dedicated toward creating payment networks between large financial institutions, whereas Stellar is a non-profit platform that works alongside financial institutions and money transfer operators with a strong emphasis on banking the unbanked. Ripple’s consensus mechanism is also vastly different from the manner in which Stellar gains consensus. Ripple is based primarily on probabilistic voting, while Stellar uses the Stellar Consensus Mechanism. Ripple operates a permissioned ledger that restricts who can function as a transaction validator — Stellar, however, allows anybody to validate transactions. The technical architecture of Stellar can be split into three elements — the Stellar network, Stellar Core, and the Horizon API. The Stellar network is the worldwide network of Stellar Cores, or nodes, which are maintained by both individuals and organizations. Each Stellar Core node validates and agrees with other core instances via Stellar’s unique Stellar Consensus Protocol. Applications, online banking apps, payment services, and mobile wallets all interact with the Stellar Network via the Horizon API. The most exciting element of the Stellar tech stack is the Stellar Consensus Protocol, which can be examined in broad detail in the Stellar white paper. 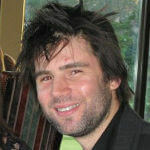 The Stellar Consensus Protocol was developed by Professor David Mazières and operates as a Byzantine agreement method. Unlike other Byzantine consensus methods, however, the Stellar Consensus protocol offers open network participation to drive network growth. Participants wait for a majority of these nodes to agree on a transaction before considering it settled. 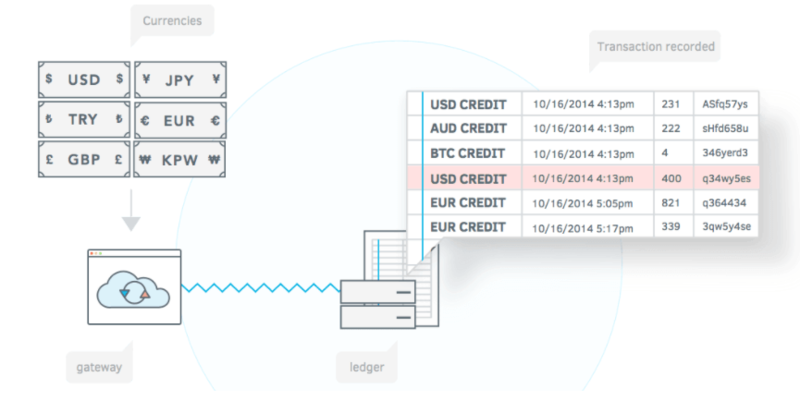 Each of these “important” nodes also maintains their lists and perform a similar process when settling a transaction. 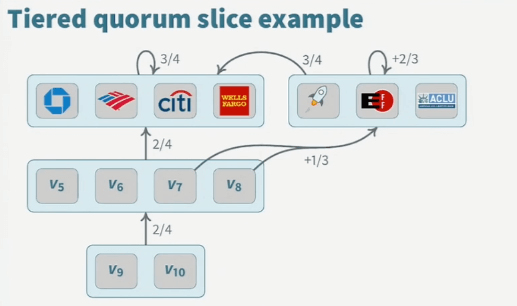 Nodes can make individual trust decisions, creating “quorum slices” that combine organically to create system-level quorums — a quorum is a set of nodes sufficient to reach an agreement, while a quorum slice is a subset of a quorum convincing one particular node of an agreement. Stellar maintains an active community spread across Reddit, Slack, Discord, and a dedicated community site that organizes regular community meetups. Recently, Stellar has announced a formal specification outlining the integration of the Lightning Network scaling solution, which could dramatically improve the already impressive transaction capacity of the Stellar network. Aside from David Mazières’ contributions to the Stellar project as Chief Scientist, the Stellar team includes Salesforce and Microsoft developer Nicolas Barry as CTO and former Stripe CTO Greg Brockman. 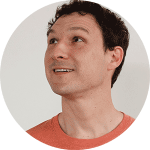 Stellar co-founder Jed McCaleb, however, boasts one of the most interesting backgrounds of any blockchain development team — as the creator of Mt Gox and a Ripple founder, McCaleb has maintained a lengthy tenure in the blockchain industry. Stellar has partnered with some notable organizations. In October 2017 Stellar announced a partnership with IBM, which has already borne fruit — IBM is already using Stellar Lumens for cross-border transactions, and is now pushing for Stellar Lumens as the coin for its clients. It's LIVE… – IBM on Stellar Lumens. In addition to IBM, Stellar has partnered with Deloitte, Stripe, Wipro, and many more organizations that use Stellar to facilitate cross-border transactions. XLM is primarily traded on Binance, where the XLM/BTC trading pair accounts for over 26% of all trading volume. A further 20% of current XLM volume is traded on Upbit via the XLM/KRW pair. Poloniex, Bittrex, and Binance are other popular markets for Stellar Lumens. XLM is currently traded on 79 exchanges. Stellar may not be a truly decentralized project, but it shows significant promise in speeding up blockchain technology adoption and is already being used by some notable international organizations. When compared to Ripple, Stellar’s non-profit organizational structure and open network participation place it closer in alignment to the core tenets of distributed ledger technology and Satoshi Nakamoto’s original vision of decentralized finance. The benefits offered by Stellar — such as token issuance and upcoming Lighting Network implementation — place it in a strong position to continue to grow and potentially dethrone Ripple as the token of choice for legacy financial infrastructure. For more information about Stellar Lumens including price, market cap, technical information and social media links, please see our Stellar Lumens coin profile.